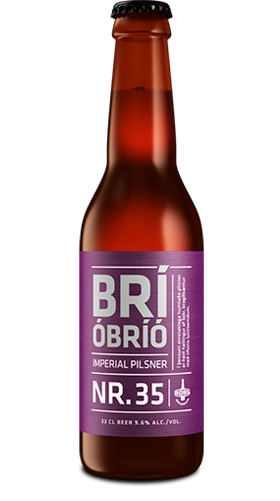 Bríó Bríó is brewed on the basis of Bríó, a German-style Pilsner named after the late Icelandic artist and bon viveur, Steingrímur Eyfjörð Guðmundsson, or Bríó to his friends, meaning joy, vigor and vitality. The noble and delicate Mittelfrüh hops from the Hallertau region in Bavaria shine twofold in this crisp and aromatic blend of Pilsner and single hopped DIPA. Bríó Bríó is light golden in color, full-bodied and unfiltered with dry bitterness on the palate and a fresh, floral finish.